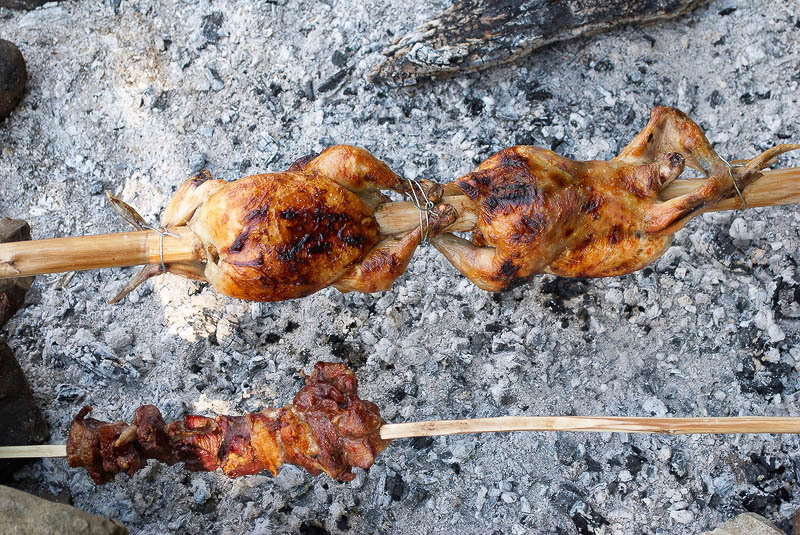 Roasted on spit chickens and pieces of pork meat. Cooking food on open fire. Outdoor picnic, barbecue.